With patented foldable jaws and accessories such as the green Gator Eyes laser pointers, the Mantax Black precision calliper is an excellent choice for economic, quick and easy diameter measuring. 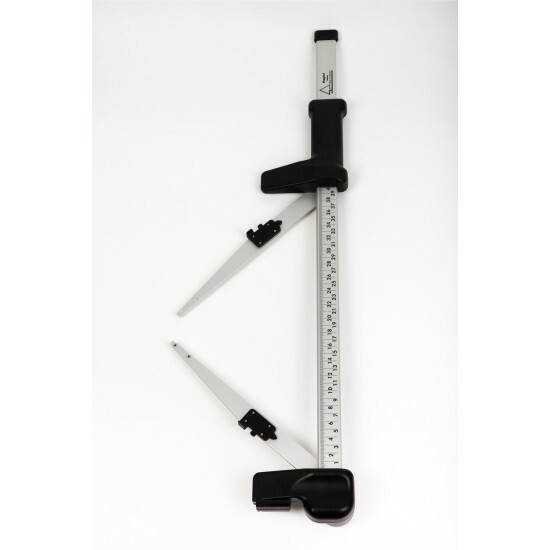 The Mantax Black callipers feature durable scale print on both sides with many optional configurations. The Mantax Black can be ordered with Gator Eyes Laser Pointers in selected models. The Mantax Black calipers are CE-marked, rugged and made to last for many measuring seasons. - Patented technology for foldable jaws - only with Haglöf Sweden Calipers. - Comfortable handle for all hand sizes. - Approved and tested by independent institutes.